Snapchat may have a huge user base, but like WhatsApp, the company has thus far failed to turn that popularity into profitability. Snap Inc. lost a whopping $353 million during the last quarter, but that apparently isn’t scaring investors away. The company is now believed to have secured an investment of $250 million from Saudi Arabia’s Prince Al-Waleed bin Talal in exchange for a 2.3 percent stake in the company. 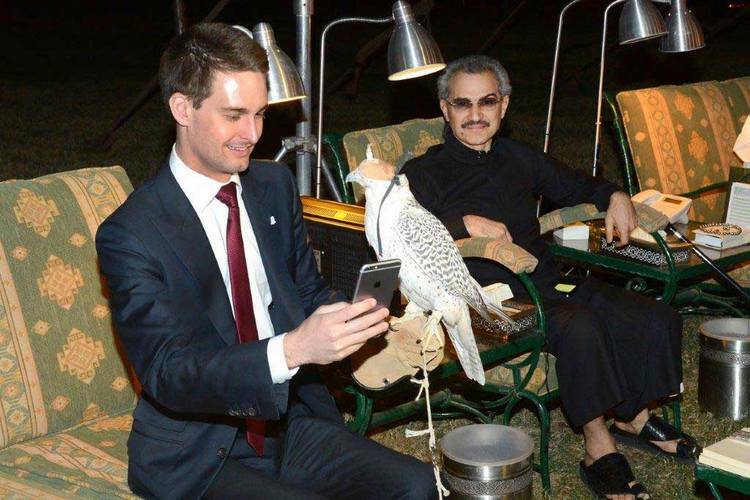 As can be seen in the tweet above, Prince Talal made the announcement via Twitter, where he also posted a video of him with Snap’s founder and CEO, Evan Spiegel. Further details about the deal can be found on the Prince’s official website, which said that the deal was “finalized on 25/05/2018 with an approximate average cost of $11 per share”. “Snapchat is one of the most innovative social media platforms in the world and we believe it has only just begun to scratch the surface of its true potential and we are blessed to be part of it”, said Prince Talal in a statement. The investment values Snap Inc. at $10.8 billion, which is a massive discount over the company $17 billion market-cap. The post also revealed that he already holds significant stakes in a number of other leading global technology companies, including Twitter, JD.com and Lyft, among others. Interestingly, Snap posted its second quarter earnings on the day news of the latest investment became public, revealing that the number of daily active users on Snapchat showed a marked downward trend during the quarter. The company, however, reported a narrower loss than expected, while its revenues as well as ARPUs (average revenue per user) registered double-digit growths.